Today I want to take you somewhere I have actually laid foot. On the drive from Jodhpur to Udaipur we traversed a beautiful green, tree filled, winding mountain road. 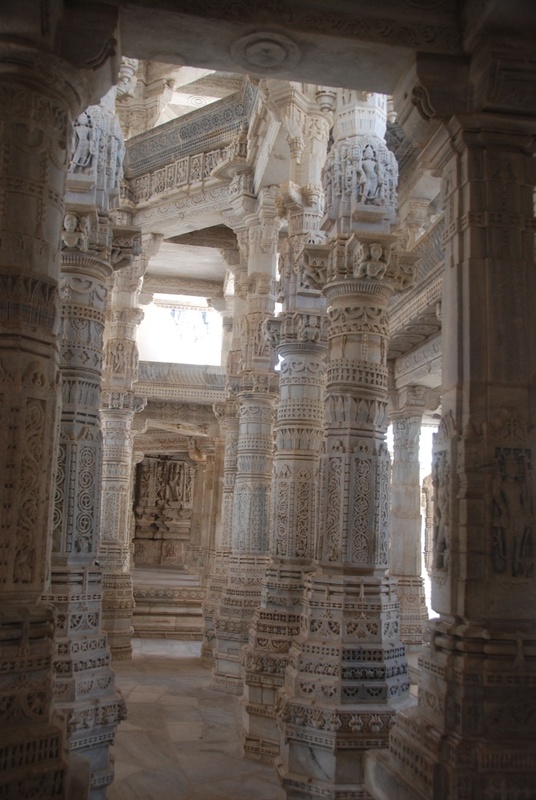 Along this drive we made an unplanned stopped at the majestic Ranakpur Jain Temple. 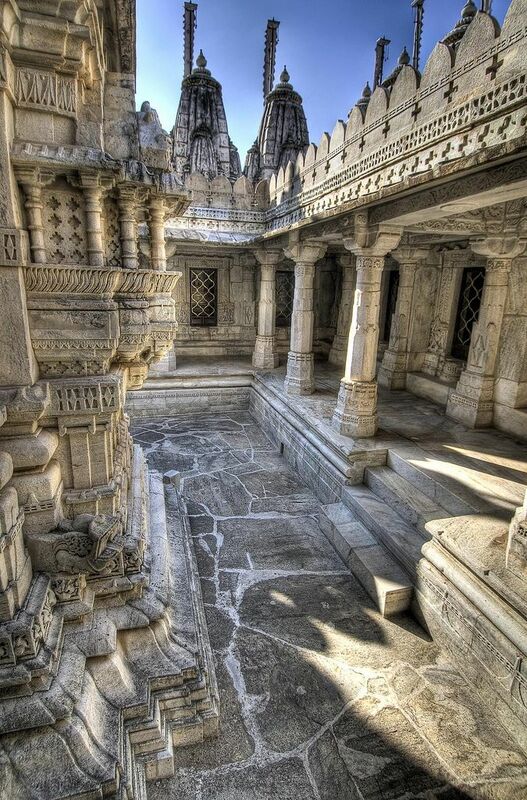 Nestled in the embrace of nature, the temple is the most ornate and grand temple of the Jain religion in all of India. 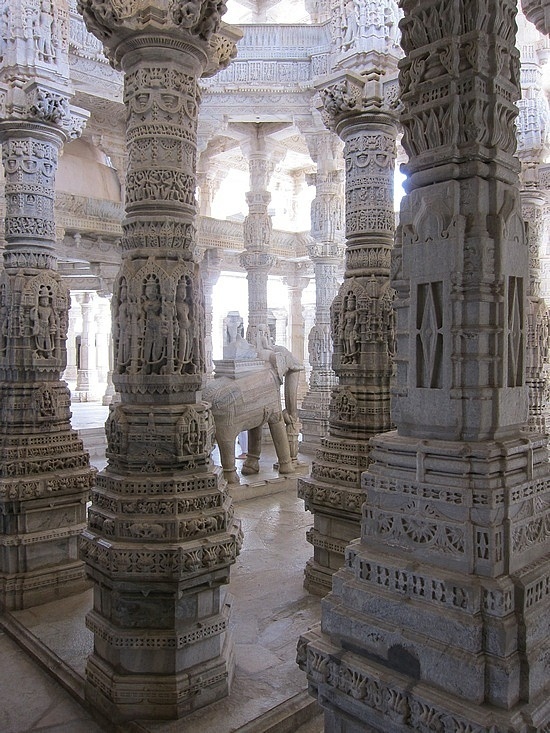 The interior houses 1400 carved marble columns, of which no two are the same. 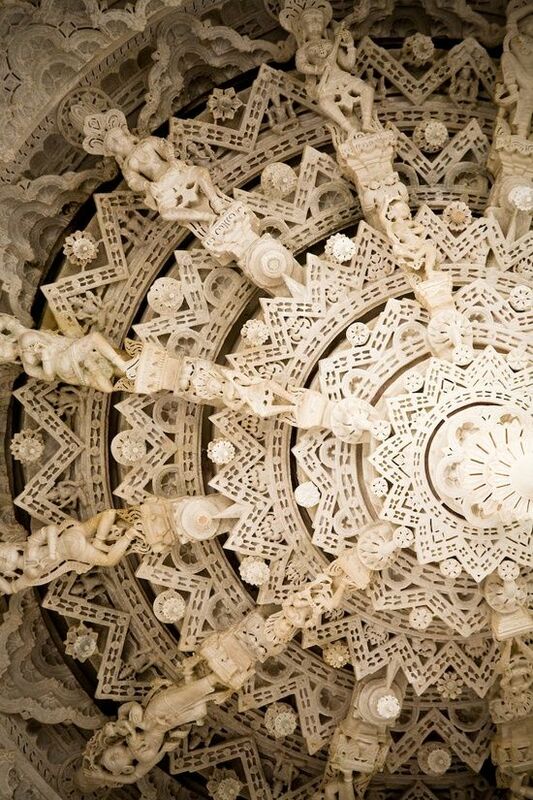 Walking through the temple is like getting lost in a glowing maze of details that stop you in your tracks with every step. 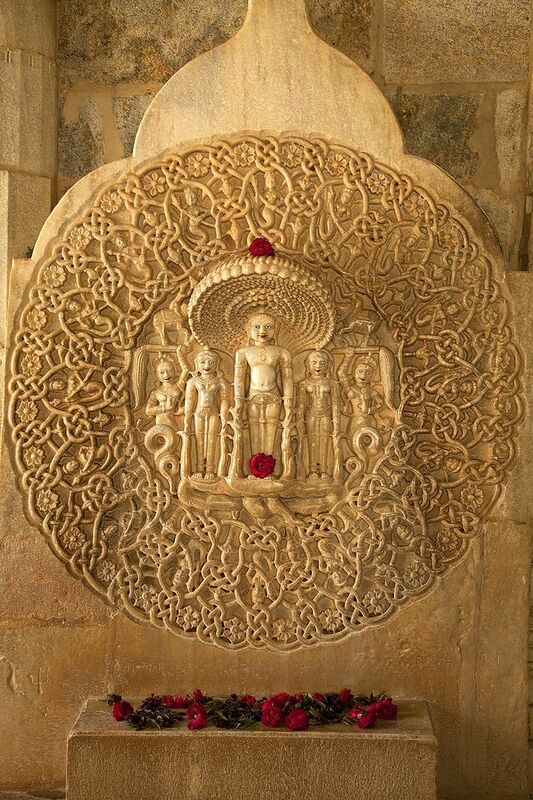 The perimeter of the temple houses various Gods in small niches, to which Jain visitors say prayers and give thanks. If you ever find yourself in these same mountains, do stop and take in the magic of this sacred space.